PAMP Suisse gold bars are one of the most prestigious investment you can make. These bars not only diversify your portfolio but also highly increase its value. Recently, they have gained a very important role in the precious metal market, and they are more superior than some coins on the market. PAMP Suisse plays a very important role in the precious metal market - they are the leading manufacturer in the world. These newly designed 1 oz PAMP Suisse gold bar is an excellent example of PAMP Suisse immaculate craftsmanship and one of a kind, unbeatable quality and design. It’s no wonder that they are the most popular mint in the world. The bar displays the famous PAMP Suisse logo, along with its weight, gold purity and the unique serial number. PAMP Suisse is widely respected worldwide, and you would be purchasing a coin from one of the world's leading refineries. 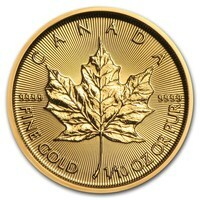 On the 1oz gold bar, we can see multiple times the word “SUISSE” in a diagonal pattern. On the back of the ingot, we have the PAMP Suisse logo. We can also find important information such as the purity, the weight, the serial number of the gold bar by PAMP Suisse. We advise that everyone handles their PAMP Suisse ingots by using protective gloves. Protecting your ingots against scratches, other damages or accidents means that they will uphold their value longer. You can also choose for them to be stored in a PAMP safe.